Eintracht Frankfurt are reportedly one of many clubs keeping tabs on Croatia international. According to the football transfer rumours in Italian media, Eintracht Frankfurt are interested in Nikola Kalinic. The Croatia international joined AC Milan from Fiorentina on loan with option to buy in July 2017. Kalinic has played 25 times for AC Milan, scoring four goals and creating five assists. The 30-year-old is considered to be one of the best strikers in Croatia. His record for Croatia is also impressive. Nikola Kalinic has scored 15 goals in 40 matches for Croatia at senior level. The Eintracht Frankfurt manager is in the market for a new striker when the transfer window reopens. 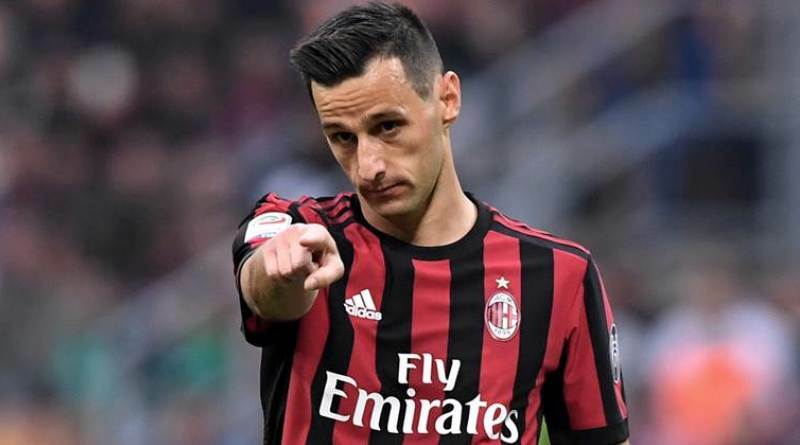 Niko Kovac is looking to shore up his attacking options and Milan’s Nikola Kalinic happens to be a target. He is a long term admirer of Kalinic and believes he can get the most out of the Croatia international. Stylistically, he would be a great fit in Eintracht Frankfurt. The 30-year-old is certainly a player that would strengthen the current Eintracht Frankfurt squad and would be a good buy in the summer transfer window. Having signed on loan with option to buy Nikola Kalinic for 25 million euros, to make a around 10 million euros profit on the 30-year-old, without question, will be fantastic for Milan.